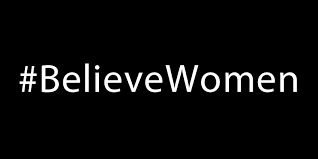 Beyond the disbelief that women have endured in matters of sexual assault and harassment is an issue deeper than the abuse itself – there is an underlying credibility issue that plagues women. Since the beginning of time, history has painted women as manipulative and deceptive. This has even been supported by the very first story of biblical teachings as Eve tricked Adam into taking a bite of the apple. Thousands of years later, it is this perception of women that has been ingrained into our society and puts our sexual integrity into constant question. This even transcends into the workplace and translates into a broad description that women are emotionally unreliable and subsequently unfit for certain roles. But that is all now changing.